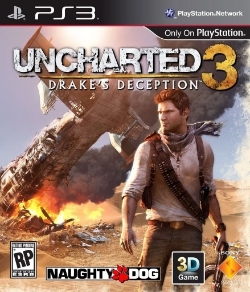 The 3rd installment to the Uncharted trilogy by Naughty dog games is here. So pull down the shades. Get your head set out. Come up with excuses for why you look so tired from playing all night. 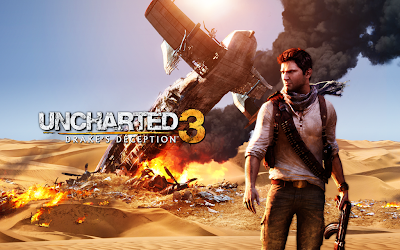 Uncharted 3 is finally here! For those of you who don't know Nathan Drake, he is the main character of the Uncharted trilogy . A fearless treasure hunter, a detective, and a possible descendant of Sir Francis Drake. He pursues adventures in the face of deceptive friends, armies of competing treasure hunters, even horrific monsters. The game play is seamless, the maps and worlds are beautiful, and the action has you on the edge of your seat. One of the greatest things that this game has going for it is the huge following it has gained all over the world. It has one of the best multi player set ups of any game ever. 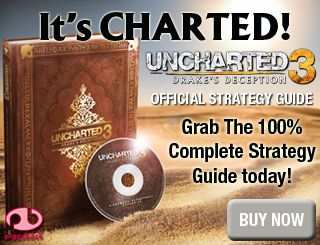 With hundreds of ways to customize a game with friends and a really cool ranking system.